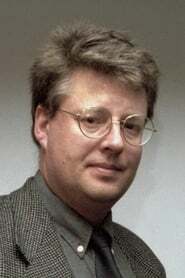 Karl Stig-Erland "Stieg" Larsson (15 August 1954 – 9 November 2004) was a Swedish journalist and writer. He is best known for writing the Millennium trilogy of crime novels, which were published posthumously and adapted as motion pictures. Description above from the Wikipedia Stieg Larsson licensed under CC-BY-SA, full list of contributors on Wikipedia. as Himself, editor of "Expo"